What is Locally Pages for Facebook™? Once your inventory feed is live on Locally, it's easy to add your entire supported in-stock inventory to your store's Facebook Page. Every time we receive an updated inventory file from you via your inventory feed, we update your inventory (across the Locally platform, which includes Locally Pages for Facebook™) accordingly, so it's automatically kept perpetually up to date. And if you're using a conversion tool like Hold or Pay Online Pick Up In Store, a shopper can complete their purchase through your Locally Pages for Facebook™ tool. Locally Pages for Facebook™ installs in minutes, and is totally free for products from our partner brands. Why? This is part of a brand's subscription: providing their retailers with a highly robust way to market their in-stock products to their community. 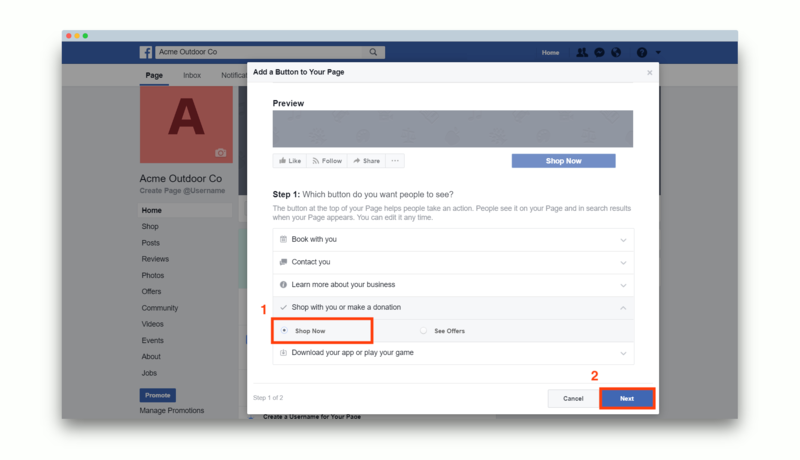 How do I install Locally Pages for Facebook™ on my store's Facebook Page? That's it! You're now using Locally, socially. What are some examples of retailers using Locally Pages for Facebook™? Dozens of retailers are using Locally Pages for Facebook™ to broadcast what they carry on their own social profiles. Diamond Brand Outdoors and Diamond Brand Outdoors Downtown: Diamond Brand has a page for each of their locations, and puts each store's inventory feed on it's respective page. Big River Running uses Locally Pages for Facebook™ to let shoppers browse what they have in stock before coming in, all without leaving Facebook. Kids N Cribs also has multiple locations. They've renamed their Locally Pages for Facebook™ tab to "Shop Dublin" so that social media users can clearly see which store's inventory they're browsing. Trouts Fly Fishing helps shoppers get the fishing gear they want, when they want it, on the site they're already on. Rack & GO knows that shoppers need to know if they're carrying the exact item that fits the shopper's car and needs. That's why they use Locally Pages for Facebook™ to reach shoppers where they are. My store has less than 2,000 likes on Facebook and it won't let me install Locally Pages, what do I do? Some retailers don't meet Facebook's required 2,000 like minimum that is necessary to add a shop tab. That's okay! You're still able to add a "Shop Now" button that simply redirects the shopper to your website (or [yoursubdomain].locally.com) to view your in-stock products. Follow the simple instructions below to get set up. Step 1: While signed in as the admin to your Facebook page, hover over the blue action button and click "Edit Button." Step 2: Next, select "Shop with You or Make a Donation" & select "Shop Now". Click next. Step 3: Select "Website Link". Step 4: Add a link to Locally Pages either on your own personal website, or at [yoursubdomain].locally.com. 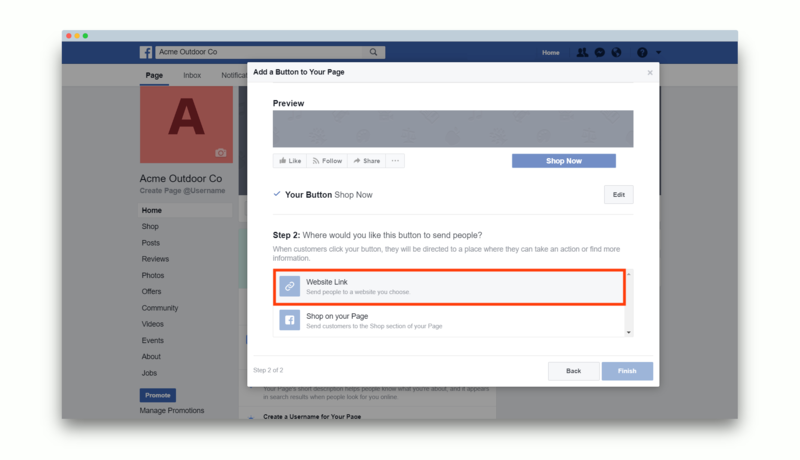 Does Locally Pages for Facebook™ work if I have multiple locations? 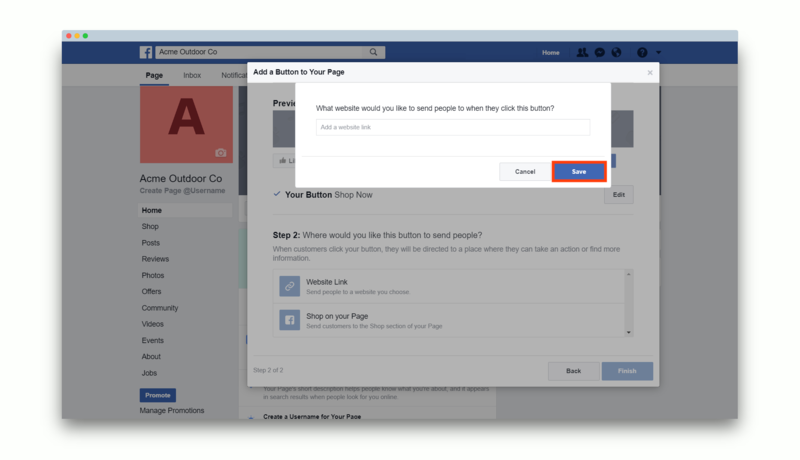 A true, multi-location Locally Pages for Facebook™ plugin will become available in future updates. 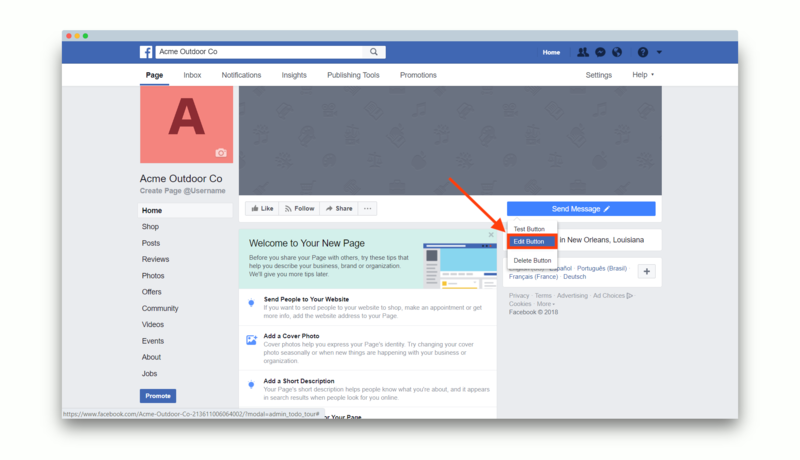 Until then, if you are a company with two or more locations, we recommend you use Locally Pages for Facebook™ by adding a store's inventory onto the location's individual Facebook Page.